ha Jhalas came to Mewar in the 14th century when Mewar was facing Mugal onslaughts to destroy its freedom-the independence it had enjoyed for almost eight centuries. The then Maharana of Mewar, Rana Rayamalji, received the Jhala borthers with royal honours. This one act of hospitality was to bear the richest recurring fruit for the dynasty of Mewar. The blood of the Jhalas has soaked the battlefields for centuries and they have shared the honour and glory of protecting the motherland and its temples from the foreign invaders. Currency Exchange, Backup Generator, Disabled Facilities, Doorman, Internet/Wi-Fi, Catering, Room Service, Airport Transportation, Travel Counter, Security Guard. Complimentary Newspaper, Child Care, Refrigerator Room, Air Conditioning Room, Dustbins, Iron/Ironing Board, H/C Water, Smoking Rooms, Daily Room Cleaning, Attached Bathroom. 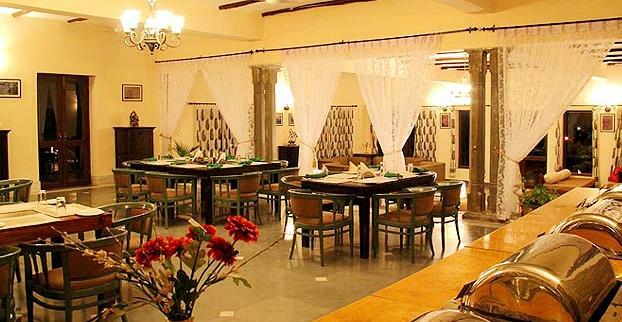 User reviews for "The Jhadol Safari Resort Udaipur"